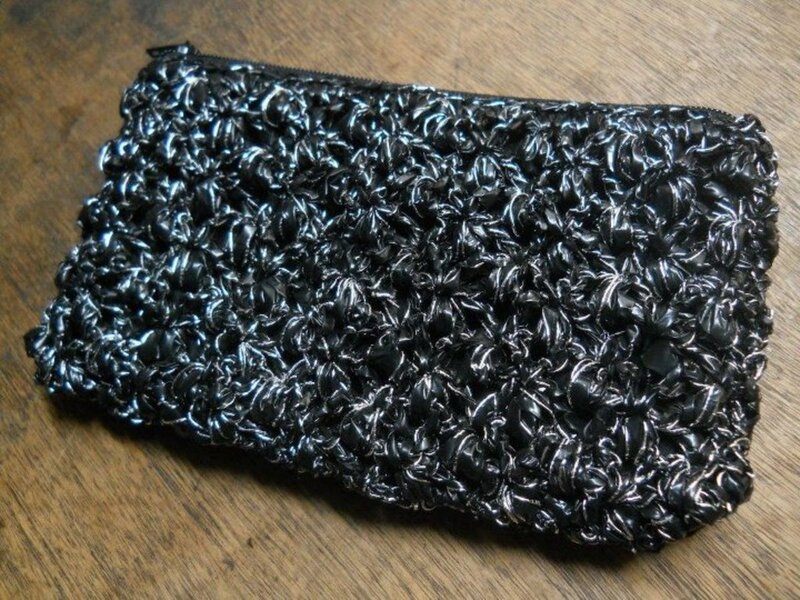 Because I wanted so much to join a bazaar, I had to create mainstream plarn products such as pouch bags. 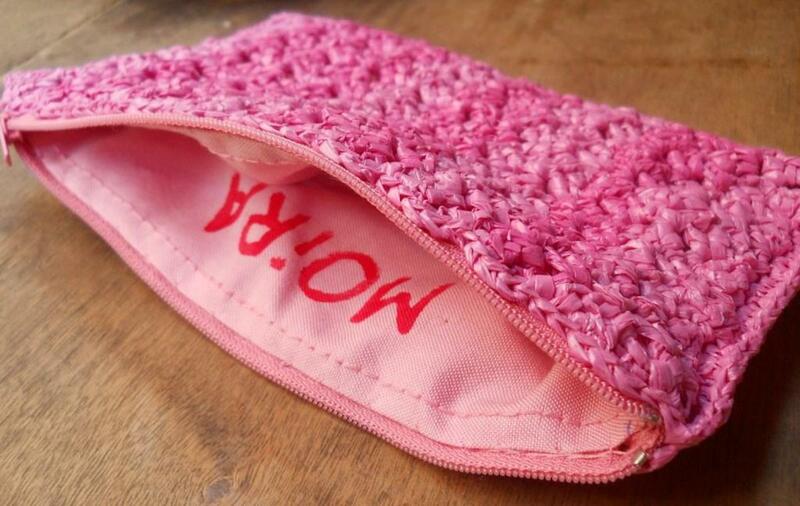 The Bushy pouch is part of the first three pouches I made. 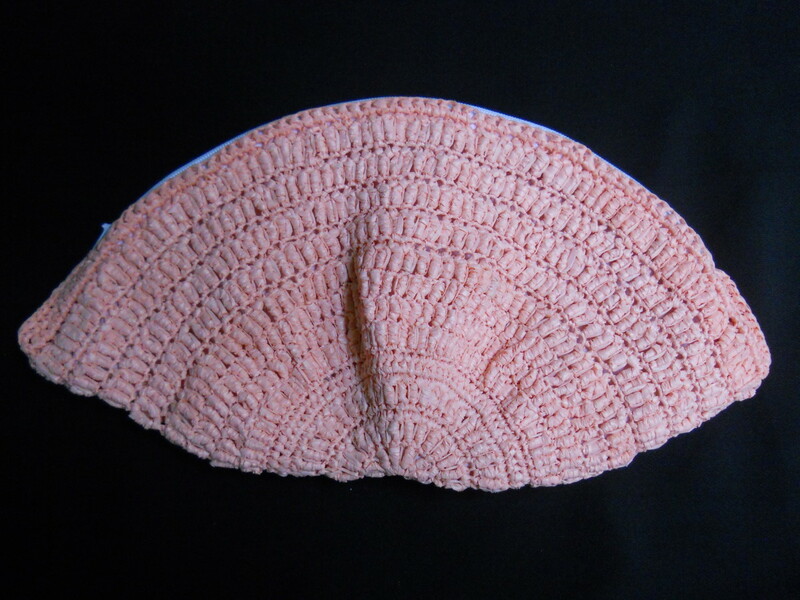 I utilized the shell stitch patterns from the book Reader's Digest Complete Guide to Needlework. 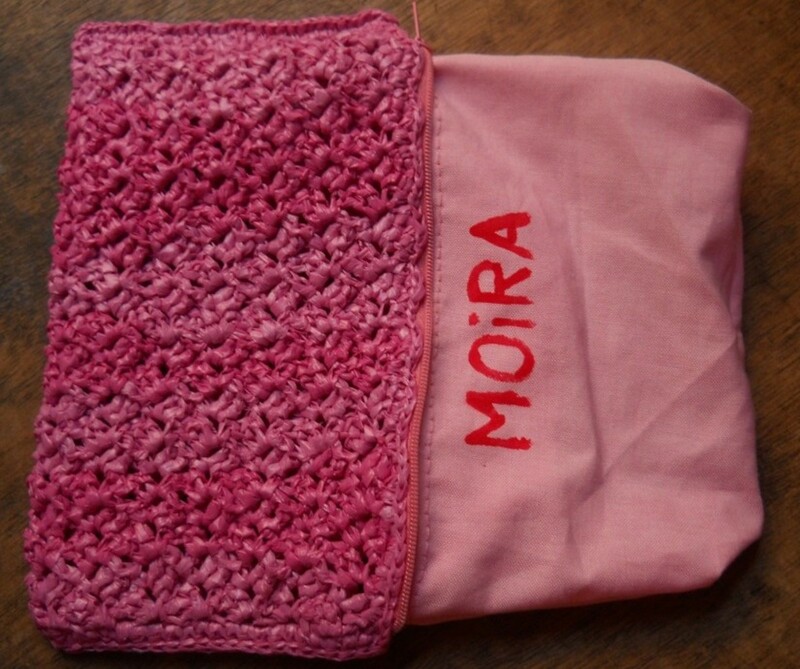 For this bag, I used the Bushy stitch - thus the name. 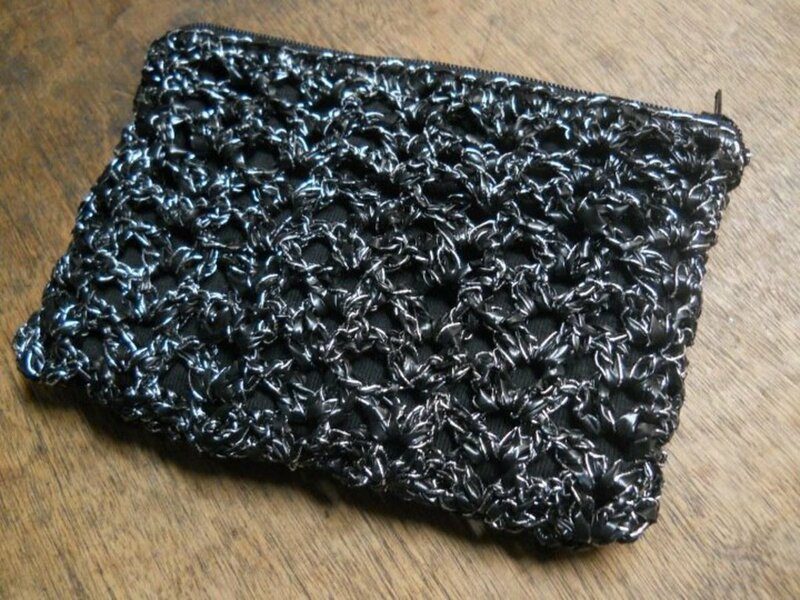 It creates a gorgeous texture perfect for a pouch. 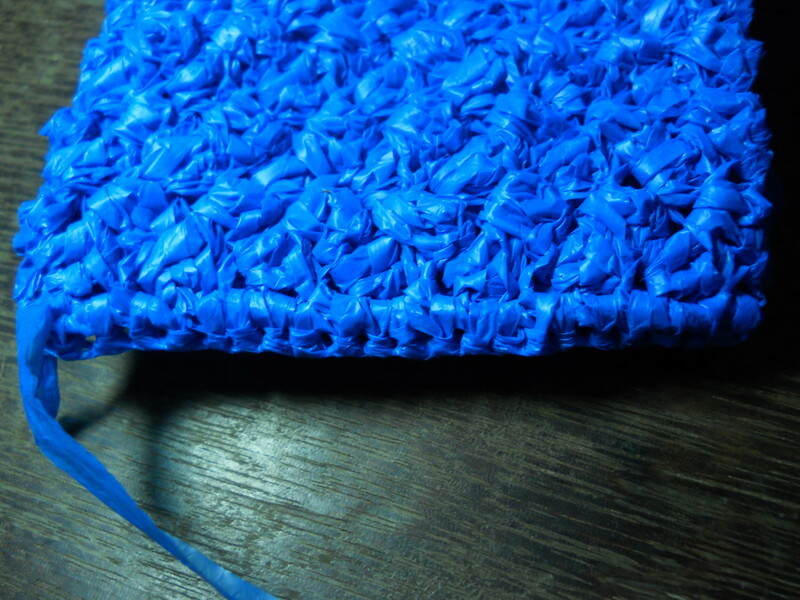 To make this bag, I consumed about 10 medium-sized plastic bags to make plarn or plastic yarn. These plastic bags were lovely because they were soft and think. 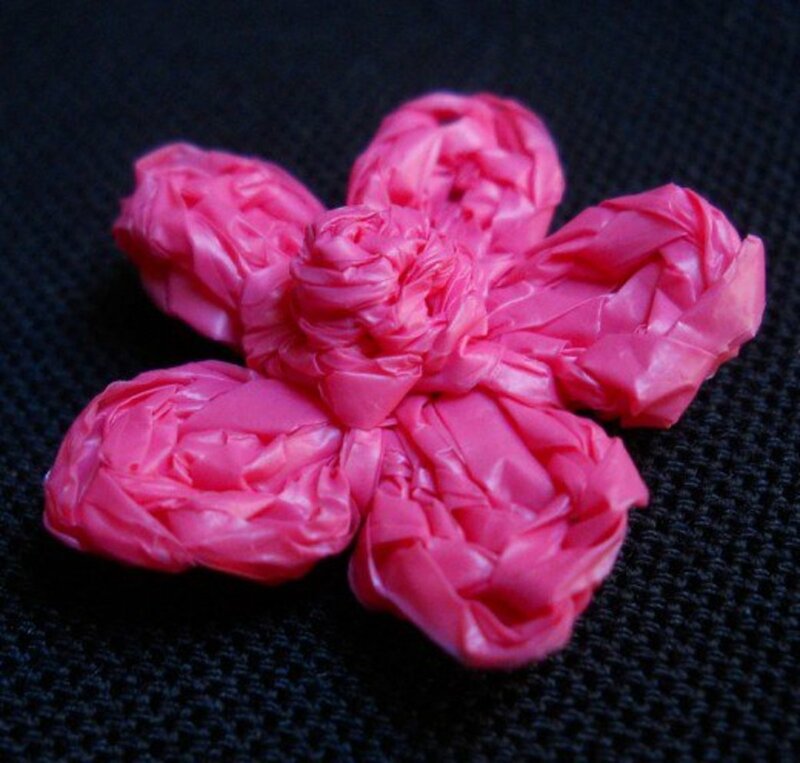 Using these plastic bags resulted into a pouch that is easy to the touch and a treat to the eyes. 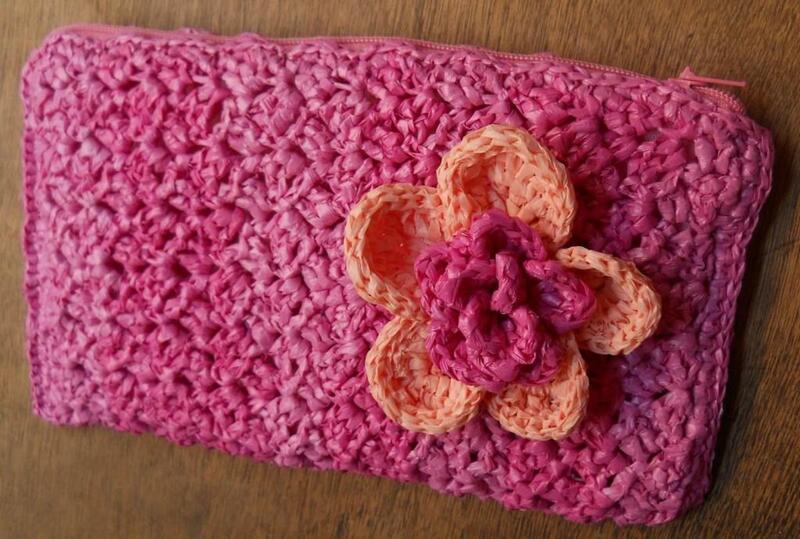 I used my flower pattern Dr. Jeckyll's Crochet Flower Experiment #2 as a focal point for this crochet pouch. 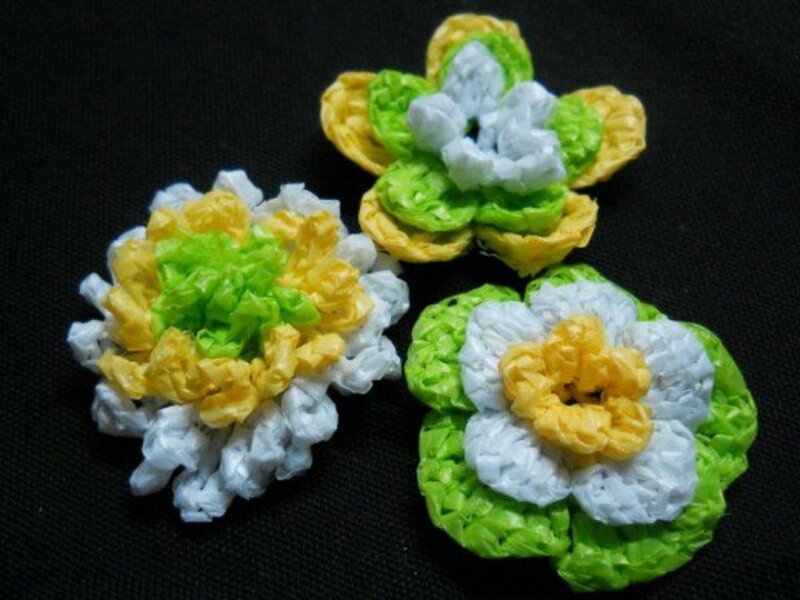 Dr Jeckyll's Crochet Flower Experiments are my experiments of mashing up various free small flower patterns on the net. 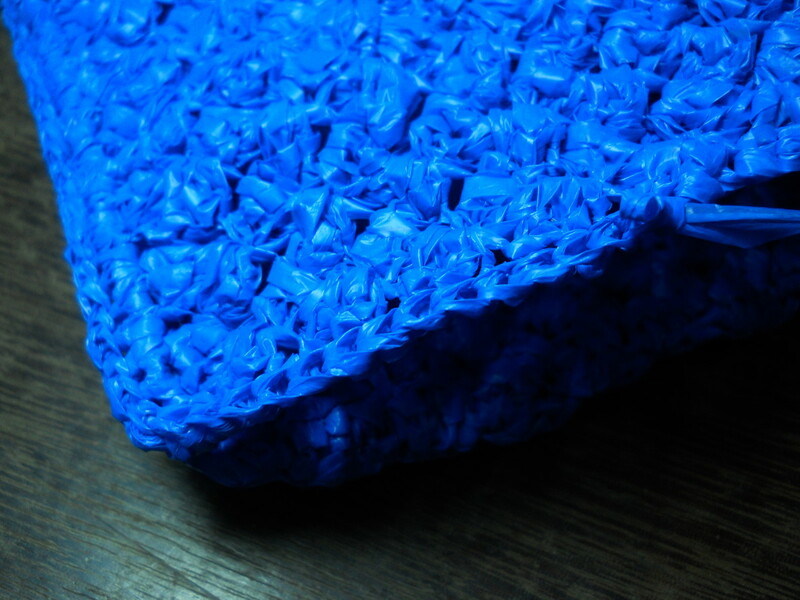 If you have a surplus of beautiful plastic bags, why don't you make plarn and crochet/knit it? 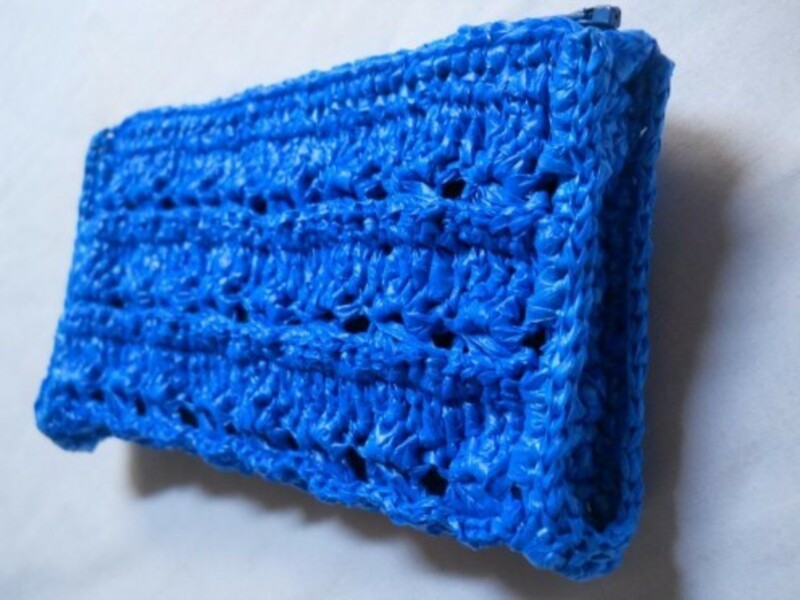 I wrote articles about the various methods of making plarn and conditioning it for crochet/knit to get you started. As for my free pretty patterns, you can find them all HERE. It looks lovely but super easy! 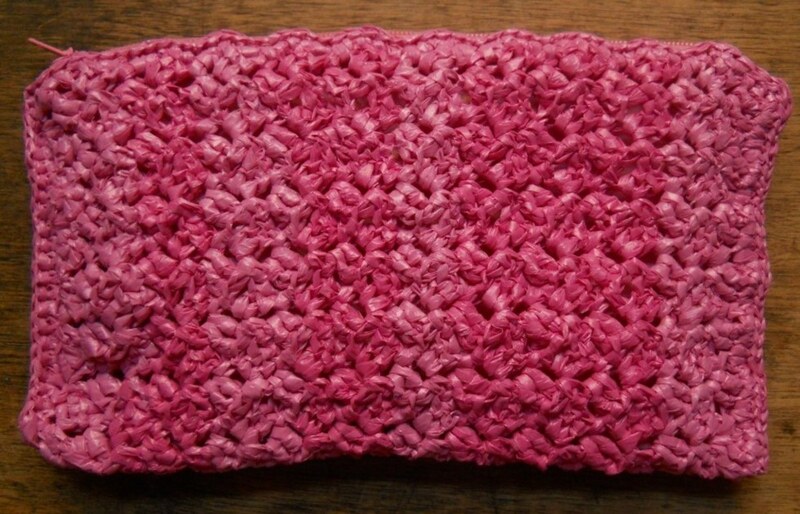 I used #7 steel thread hook, 1/4-in single-strand plarn from pink plastic bags, pink YKK zipper, and pink cloth from my failed sewing project. Row 1 in black, Row 2 in red. 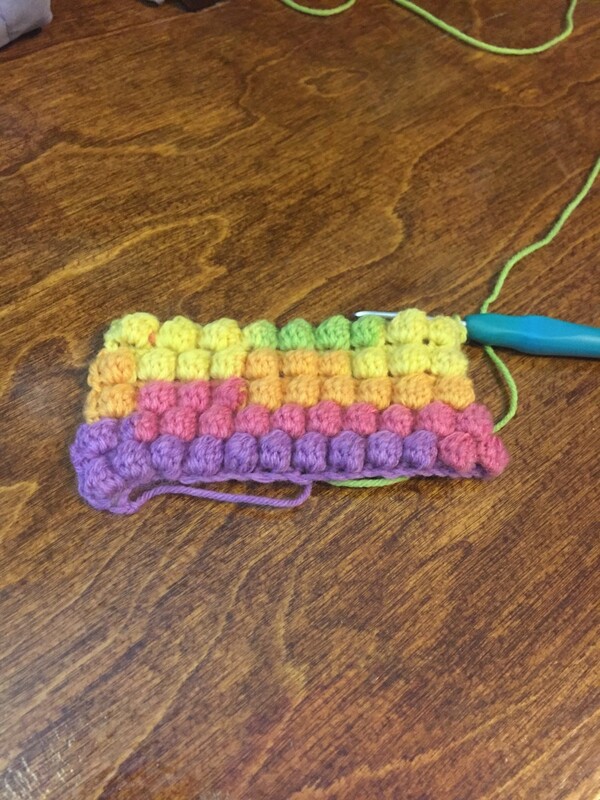 Repeat Row 2 for pattern. Foundation Chain: Ch 43 (multiple of 3 + 1). Row 1: Sk 3 ch, (1 dc, 2 ch, 1 sc) in next ch, [sk 2 ch, (2dc, ch 2, 1 sc) in next ch] repeat to end. Ch 2, turn. Row 2: [(2dc, ch 2, 1 sc) in ch-2 sp] repeat to end. Ch 2, turn. 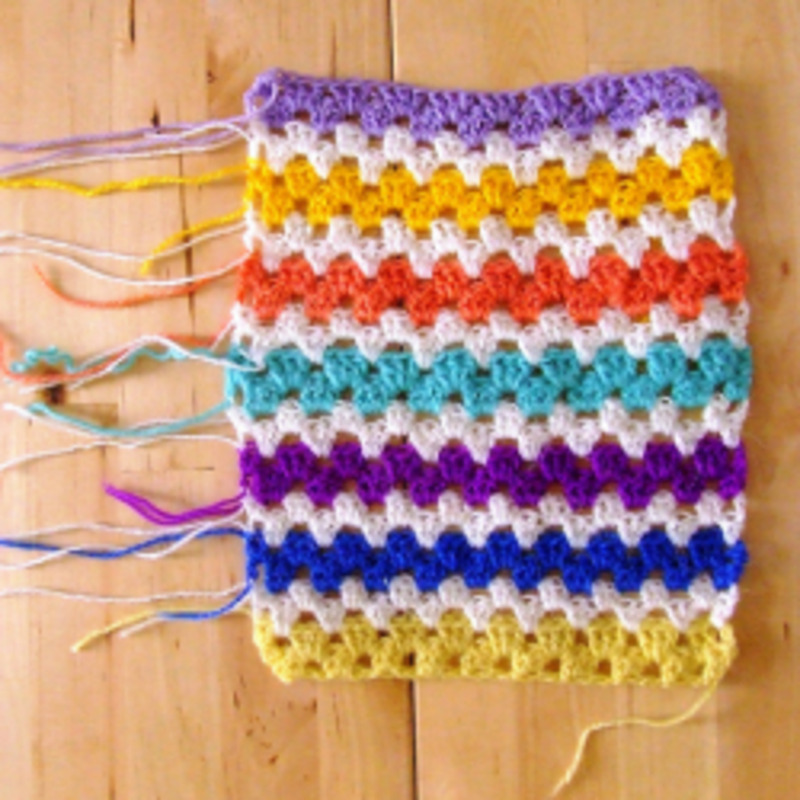 Repeat Row 2 for pattern to create a rectangle with a length of about 9.5 in. WIP 1: Fold the rectangle and sew the sides with sc's. WIP 3: .... sl st the sc's. WIP 4: Sl st the top towards the other side and repeat the instructions in WIP 1-3. 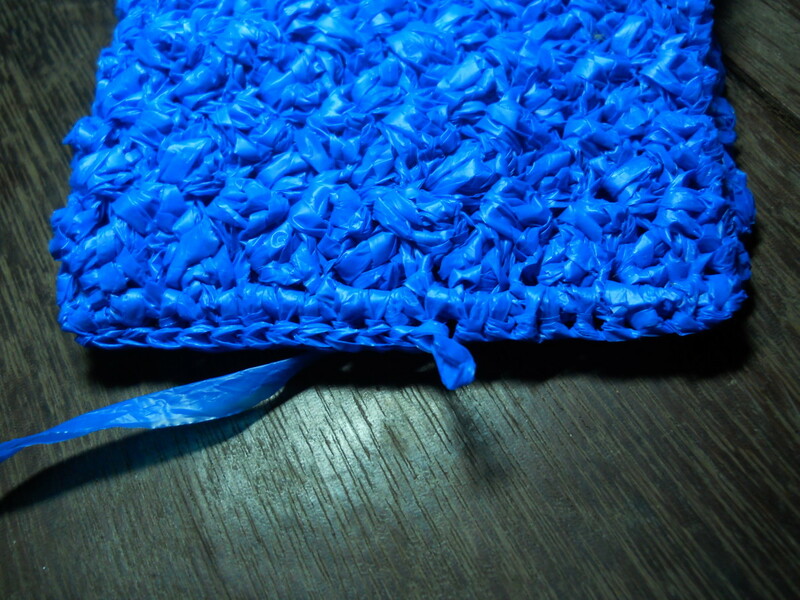 The structure of this pouch is similar to the Ripple Pouch. So I didn't bother taking pictures for this one. 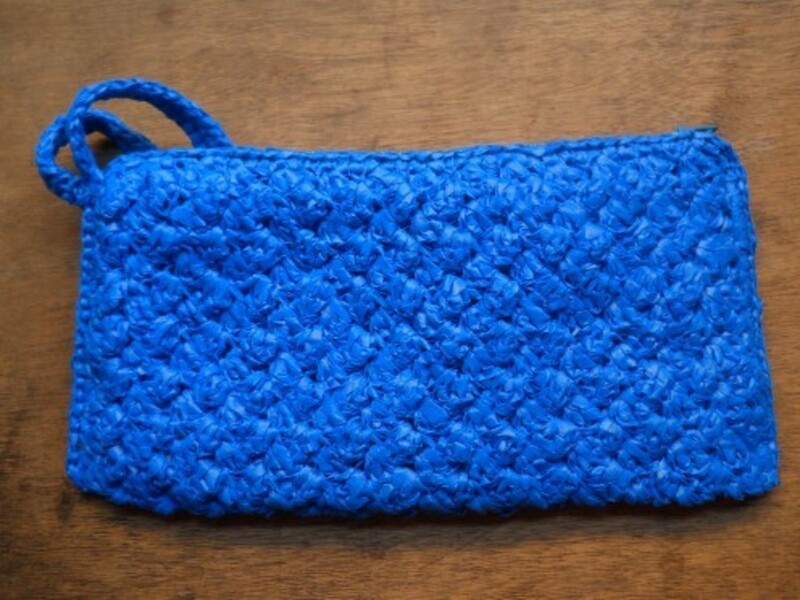 Fold the crocheted rectangle and [join sides with single crochet, turn, sl st the sc's. When the top is reached, sc on all the sts towards the other side. ]Repeat instructions in [ ]. My sewing skills really need a lot of improvement. I couldn't stop the urge of writing my name on the lining! I love this purse so much! 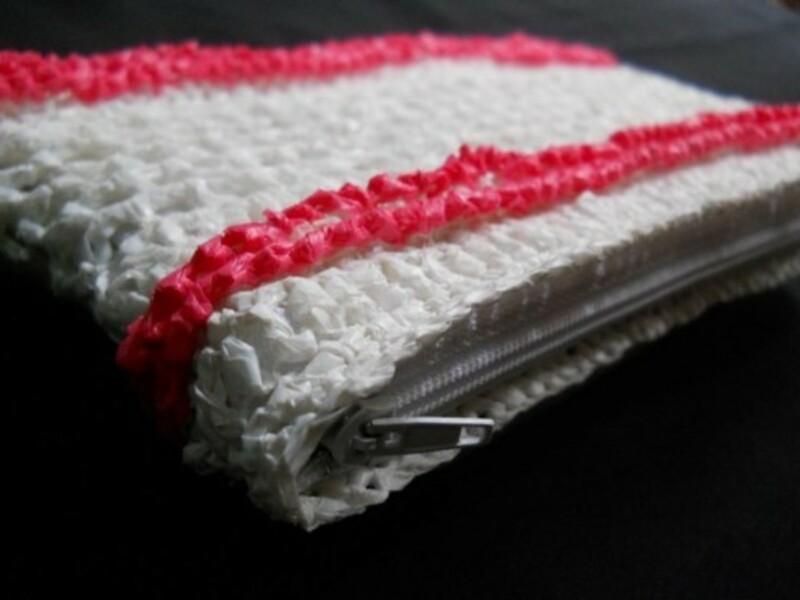 To apply zipper and lining, I followed this very useful tutorial by Carrie Wolf. The tutorial has various photos taken from different angles so you'd really know what you're doing every step of the way. 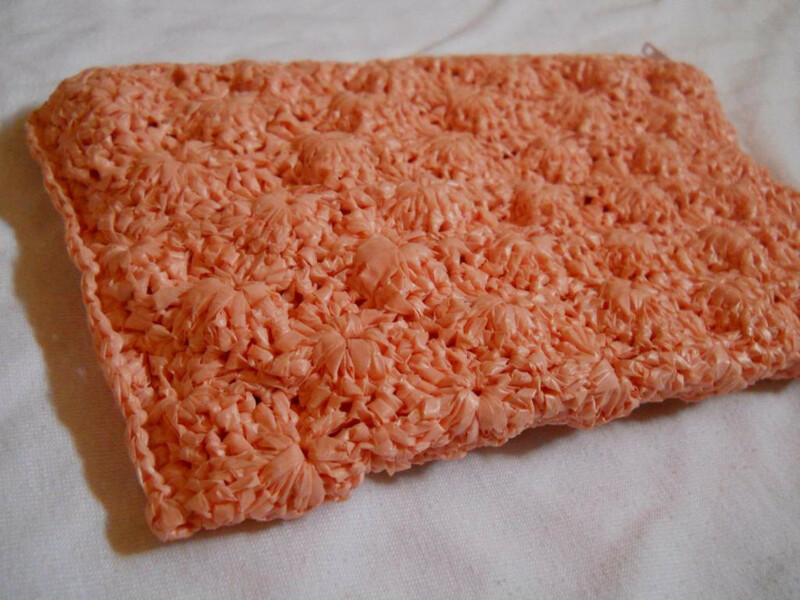 If you love the flower, it's crocheted with plarn twice as thick as the one made for the purse. 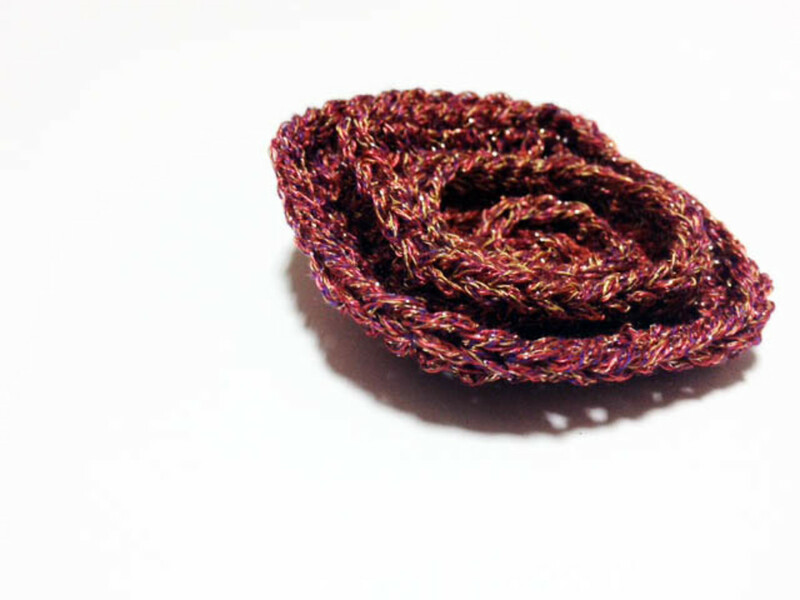 Unfortunately, I have lost the pattern for THIS flower because the webpage that hosted it already closed and I was off the grid for that time. However, you can use any flower you like. 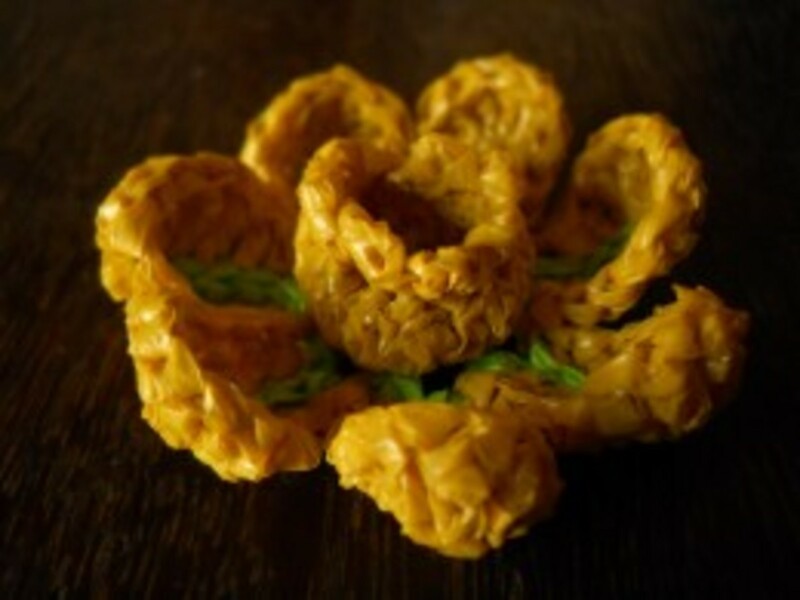 Check this other flower patterns. 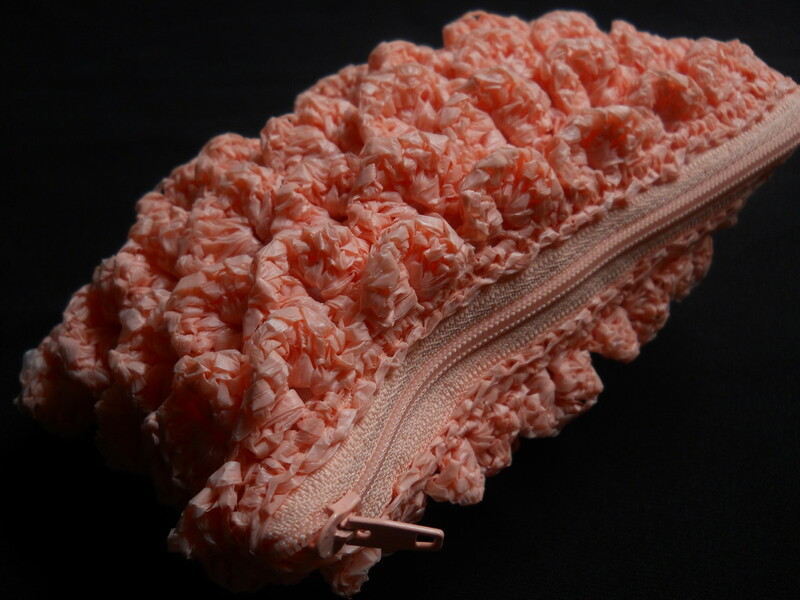 After crocheting the flower, sew it to the pouch. Thank you, everyone! I'm glad you found my hub useful and well-written. It means so much to me that you appreciate the time and effort I put into my hubs. Well written and illustrated instructions! I like your blog, too. 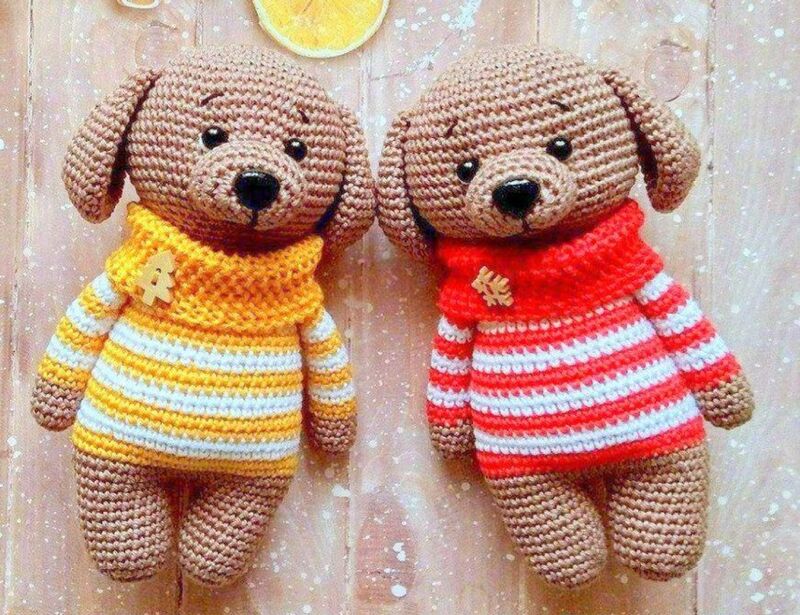 I just picked up my crochet hook after a looong :) time of not doing it so i am re-learning everything! 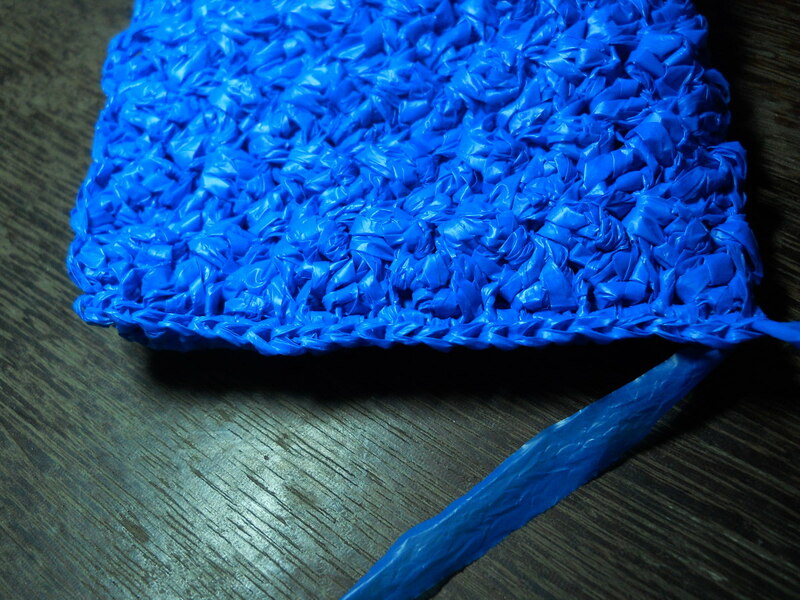 the plarn looks really interesting but what I really like is your picture diagram of the instructions! 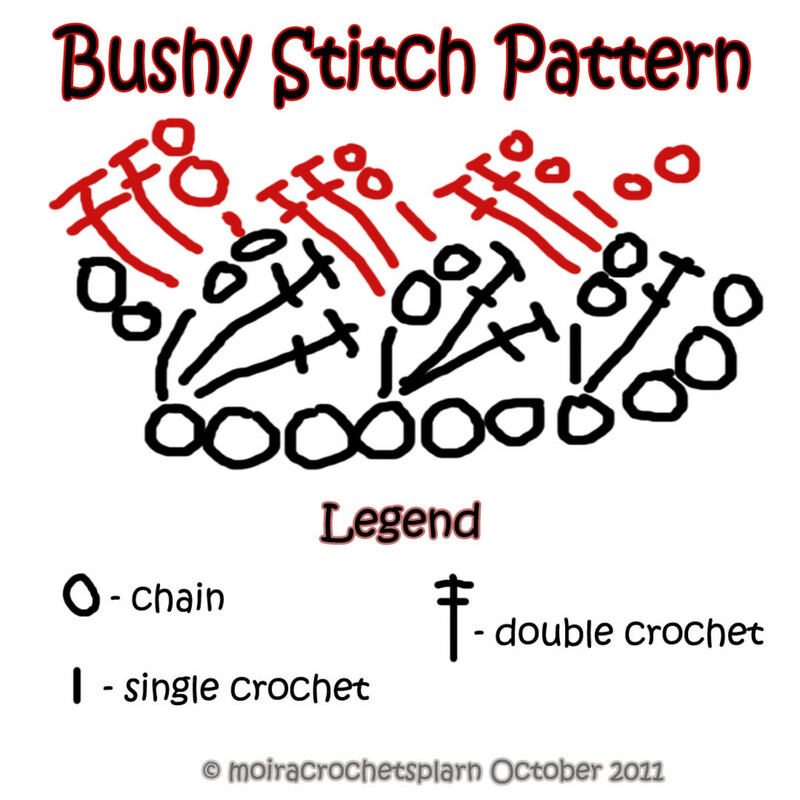 Ive seen ddiagrams for crochet before but yours is the first that I can actually follow! and your written instructions, the entire hub in fact, is very user friendly! huge thumbs up!